Eternal Orthodox Church calendar for the 28.10 year 2017. 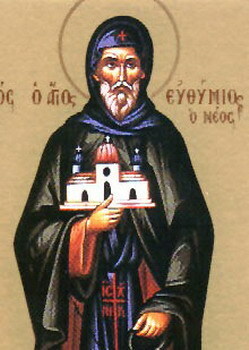 Born of noble parents in Syrian Samosata, he received in his youth a very wide education, both secular and spiritual, and was a man eminent both for his learning and for his strict ascetic life. Giving his goods away to the poor, he supported himself by the writing of works of instruction, feeding himself thus by the work of his hands. He did a very great service to the Church in the work which he undertook of the correcting of the Hebrew text of the Scriptures in many places, texts which heretics had taken the opportunity to twist and corrupt according to their wicked teaching. 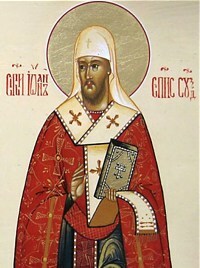 Because of his learning and his great spirituality, he was ordained priest in Antioch. 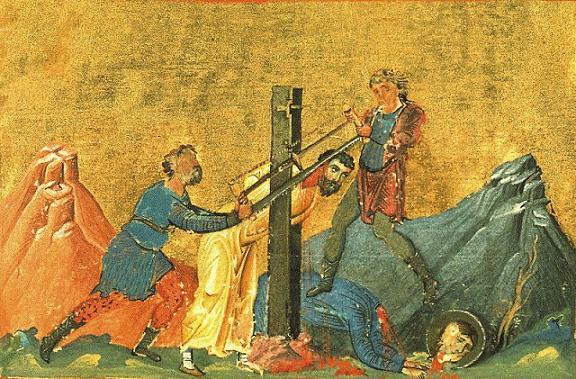 In the time of Maximian"s persecution, when St Anthimus of Nicomedia and St Peter of Alexandria were put to torture, St Lucian was also on the list of those whom the Emperor wanted to have killed. Lucian fled the city and hid, but a jealous heretic priest, Pancratius, revealed his whereabouts. The persecution was terrible at that time, and not even tiny children were safe. Two boys, who would not eat food offered to idols, were thrown into a bath of boiling water, where, under torture, they gave their holy souls into God"s hands. A disciple of Lucian"s, Pelagia (see Oct. 8th), to preserve her virginal purity from the dissolute authorities, gave her soul into God"s hands, and her body fell from the roof of her house. Lucian was taken to Nicomedia. to appear before the Emperor. On the way, he managed to bring forty soldiers to Christ by his counsel, and thev all died a martyr"s death. After interrogation and flogging, St Lucian was thrown into prison, where he was tortured by hunger. "He scorned hunger", writes St John Chrysostom of Lucian. "Let us also scorn luxury and destroy the lordship of the stomach; that we may, when the time comes for us to meet such torture, be prepared beforehand, by the help of a lesser ascesis, to show ourselves worthy of glory in the hour of battle." 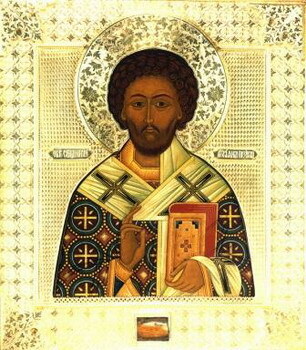 He received Communion in prison on the Theophany, and on the following day gave his soul into God"s hands, on January 7th, 312.